The manufacture of transformers is at the core of this training system. Everything about transformers is learned in the course of hands-on assembly and operation. 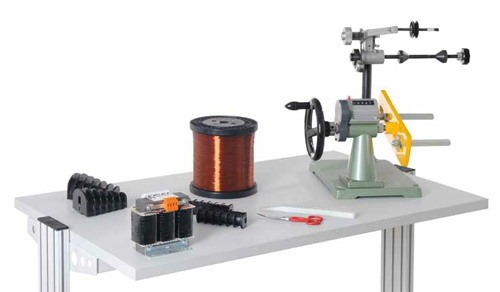 The training system contains all of the components and tools needed to manufacture transformers. And most of these components are recyclable, so once you’ve completed the experiment, you can disassemble the transformer again. Additional experiments enable you to investigate the transformer’s operating response in conjunction with different loads.